Is this it for summer? It certainly feels that way these last few days. Despite it's seeming end, this has to go on record as one of the finest summers the Puget Sound area has ever seen. While I'd hate to see it go, and frankly it seems a bit early to welcome the autumn weather it's hard to complain about the amazing summer we've been given. The good news is, the fine weather is predicted to continue next week. However it seems like that near predictability of sunshine and warm 70 degree temperatures is not so predictable anymore. We had a good run though. The vintage from a wine growing standpoint is way ahead of schedule, two weeks at least, and Red Mountain is being harvested as we speak. In a warm vintage like this rising sugars make it imperative to pick early so that you're staring at high alcohol wines with nary a hint of acidity. From a ripeness standpoint it's a balance, you want ripe flavors, but you also want that acidity and sometimes you may be at the mercy of rising brix, picking before flavors are fully developed. For those of us waiting to drink the 2013, we'll have to wait and see what the vintage and the winemakers of the Northwest do with it all. While we wait let's throw something on the grill. I'm going with burgers made from ground elk and beef from Walla Walla's Blue Valley Meats. (We've been fans since they were Thundering Hooves.) 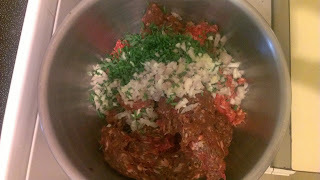 Throw in some tarragon, chives, shallots and salt and pepper and bam, I need a wine for this. We love burgers and burger wines here at the Anthem. Today's Friday Find is a transitional wine for us, it's certainly capable of providing a great option should the current weather pattern of rain and cooler temperatures prevail, but it's also a match for grilled burgers on the patio. 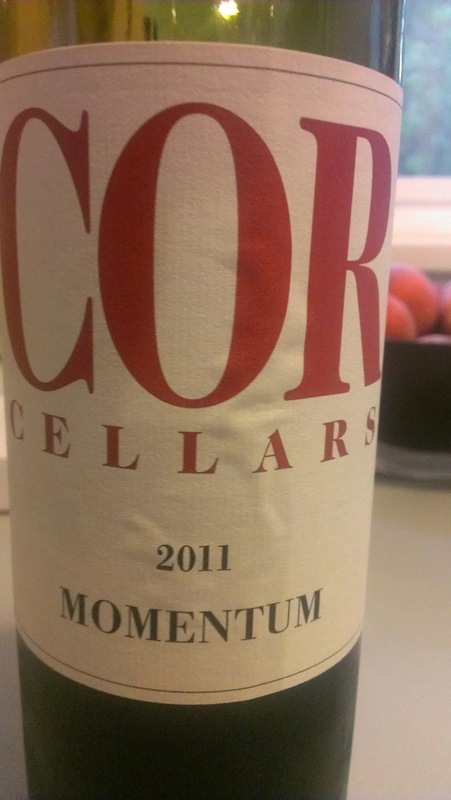 The 2011 Momentum from Cor Cellars is a substantive, fruit forward blend of Petit Verdot, Malbec and Merlot from Horse Heaven Hills. 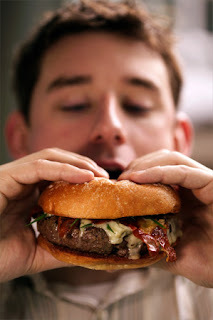 The cool vintage is marked by higher acidity which delivers in the pairing, particularly in the burger category. The fruit is dominant on the palate, red and black berries abound and it's loaded with spice aromatics as well as some dusty earth. Great balance and well made for the $17 price tag. So does summer have enough momentum to carry us into October or is winter here? I don't know, but with some nice savory burgers and this red blend from Cor Cellars, we'll be okay either way.